in the 2018 Under Amour All American Game at Wrigley Field in Chicago on July 20. SIx rising seniors from Georgia will play in the Under Armour All-American Game at Chicago's Wrigley Field on July 20. The game is scheduled for an 8:30 p.m. (ET) start. 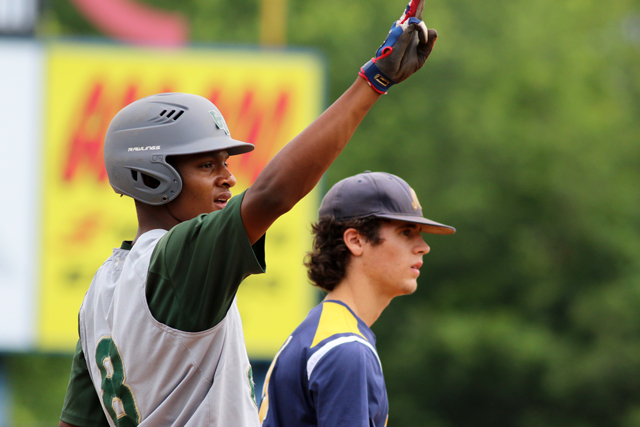 Blessed Trinity infielder CJ Abrams, Parkview catcher Jonathan French and Bulloch Academy pitcher Daniel Espino will represent the National Team, while Westlake shortstop Myles Austin, Ringgold outfielder Andre Tarver and Lakeside-Evans pitcher Will Childers will play on the American Team. According to its website, players are selected by a committee of Baseball Factory scouts. The selections are then divided into two teams - American and National. The All-American Game culminates a four-day experience where players work out in front of Major League Baseball scouts and receive instruction from some of the game's best players and coaches. During the four-day event, a Home Run Derby is held. Since the game started in 2008, 318 of the 361 draft-eligible players from the Under Armour All-America Game have been drafted in the Major League Baseball Amateur Draft. As many as 98 have been taken in the first round.